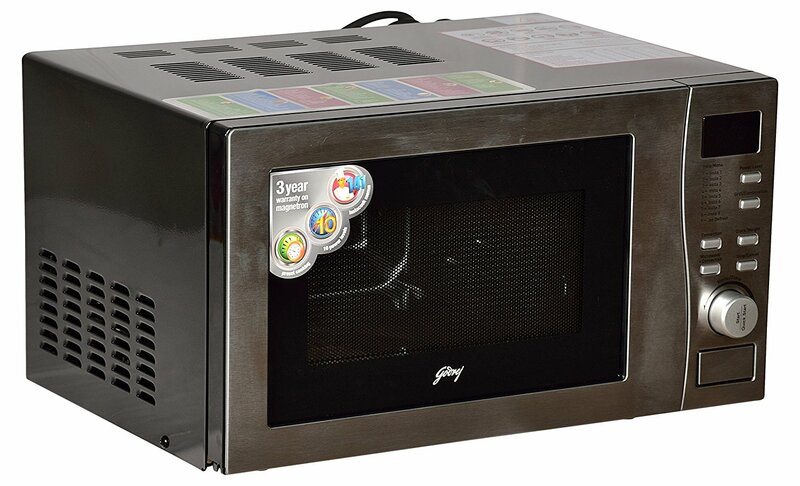 Godrej 20 L Convection Microwave Oven (GMX20CA6PLZ, Clear) comes with advanced features and capabilities for advanced cooking. It has 141 insta-cook menus that are good for enjoying a wide range of pre-programmed recipes. You don’t have to make any effort except the pressing the right button. 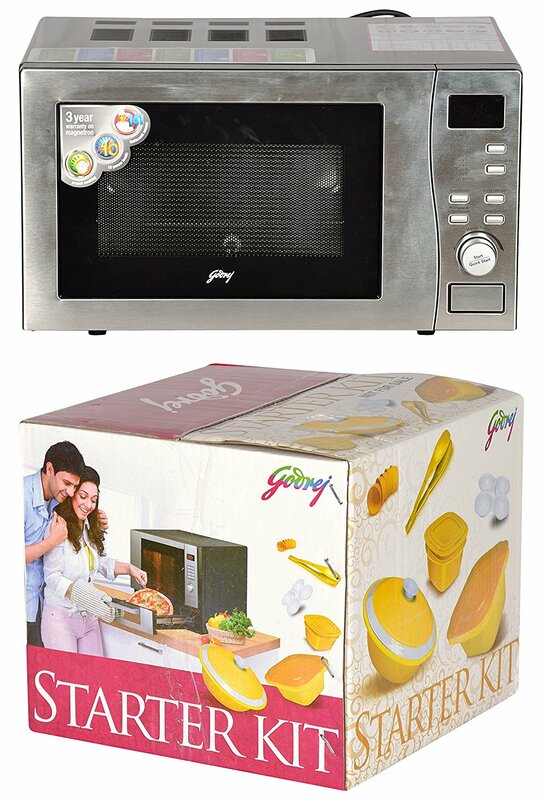 This Godrej 20 liters microwave has good capacity to accommodate large portion foods, large plates as it comes with 20 liters of capacity. 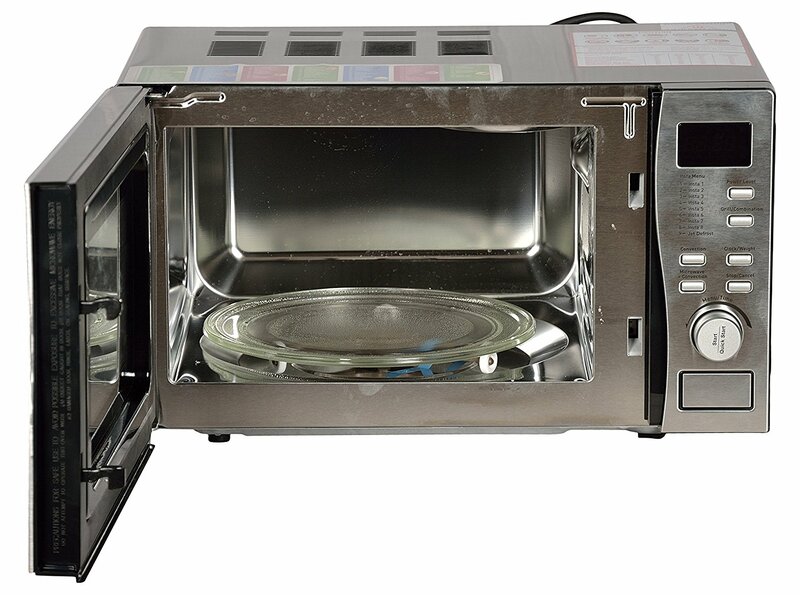 Further, it allows combination and preset cooking for all your cooking convenience. 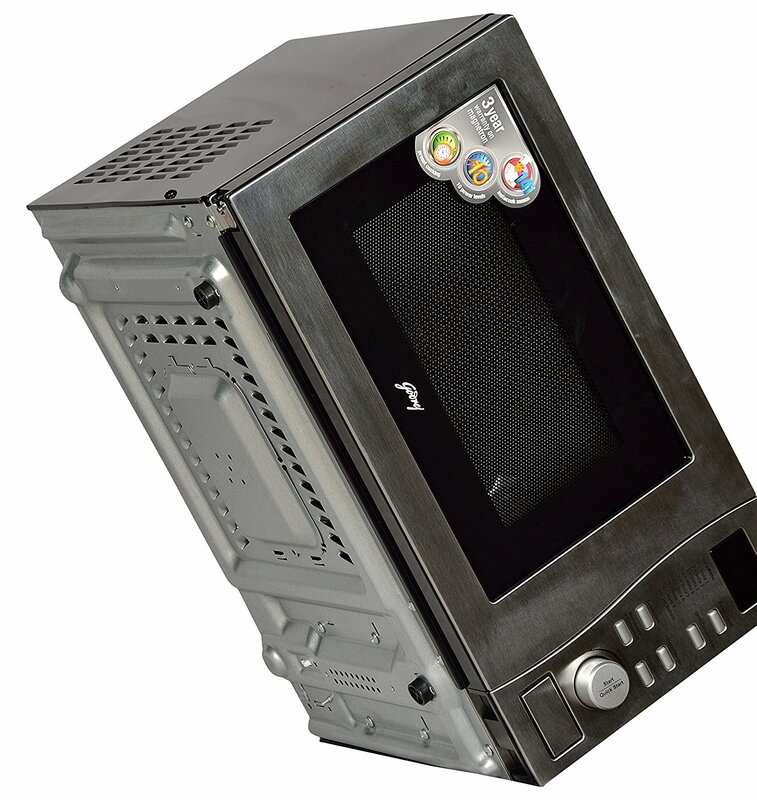 It also comes with auto protection feature to protect your microwave from any malfunction, accidental start and other related stuffs. On the other hand, the 10 power levels give you good flexibility to cook food on your own choice. 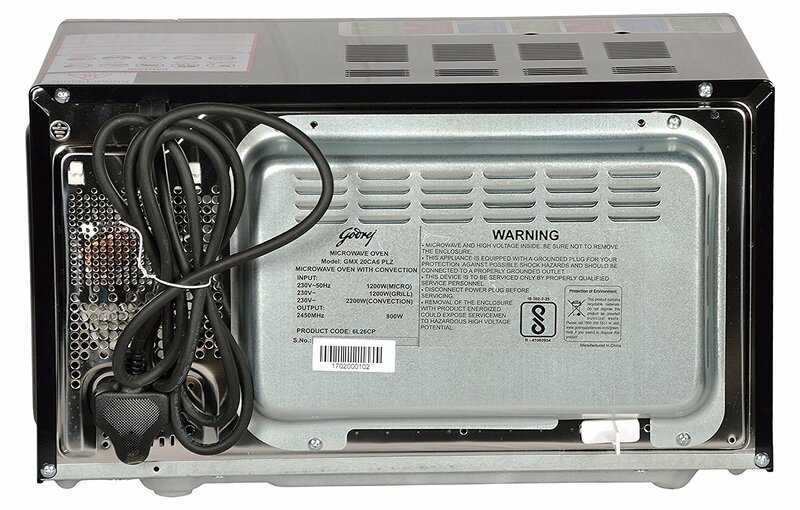 So this feature is good for customized cooking because you will be using the required power as per the need of a particular food. 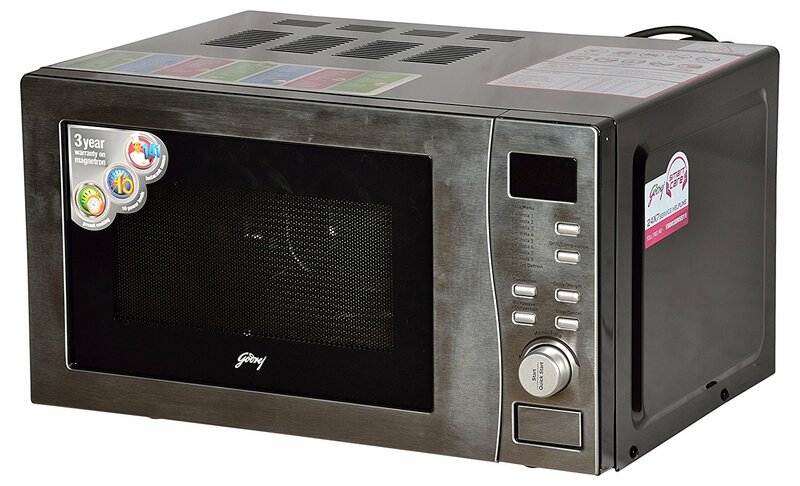 Further, Godrej GMX20CA6PLZ microwave oven is protected with one year of warranty on product and 3 years of warranty on the magnetron for the peace of mind. 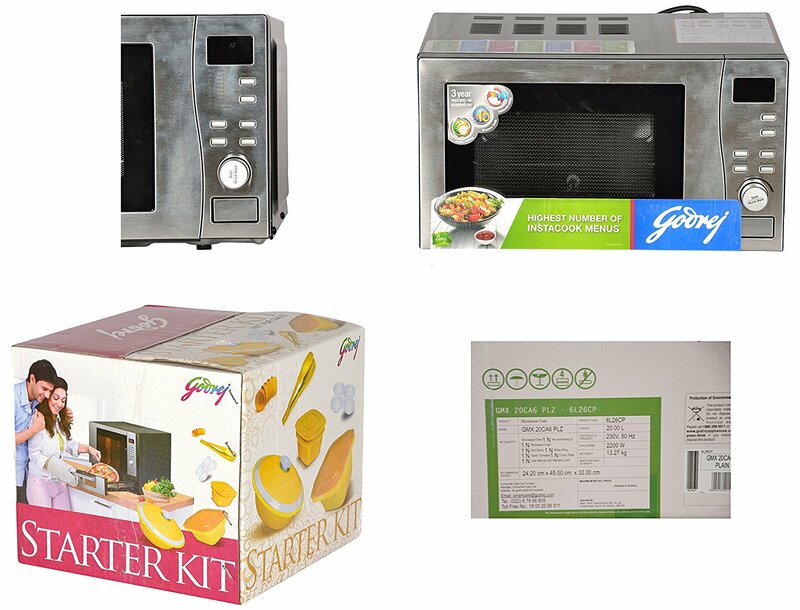 On the purchase of this Godrej microwave oven, you also get the required accessories such as a glass turntable, roller ring, grill stand, user manual and a warranty card.